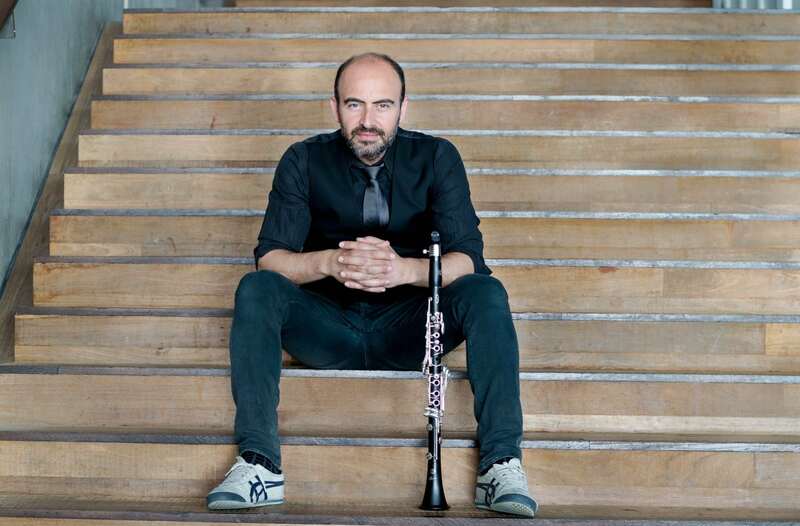 FOR IMMEDIATE RELEASE: Hailed as a “virtuoso” and “intensely soulful” by The New York Times, Grammy-winning, Syrian-born clarinetist Kinan Azmeh will perform in a collaborative LiveConnections Presents concert this May at World Cafe Live. He will be joined by the acclaimed Aizuri Quartet, praised by the Washington Post for “captivating” performances that draw from a notable “meld of intellect, technique and emotions.” The finale of the LiveConnections Presents season will take place on Thursday, May 31, 2018 at 7:30PM, and will span classical, jazz and Arabic musical languages. The collaboration draws on the artists’ inventive and thought-provoking approaches to music-making, featuring works by Armenian priest Komitas Vartaped and contemporary composers Lembit Beecher and Yevgeniy Sharlat; the world premiere of a suite of micro-commissions by Pauchi Sasaki, Michi Wiancko, Wang Lu and Can Bilir; and a new arrangement of Kinan Azmeh‘s “The Fence, the Rooftop and the Distant Sea” for clarinet and string quartet. Recently, Kinan was named composer-in-residence with Classical Movements for the 2017-2018 season. His compositions include works for solo, orchestra and chamber music, as well as film, live illustration and electronics. He is also a member of Yo-Yo Ma’s Silk Road Ensemble with whom he was awarded a Grammy in 2017, and serves as artistic director of the Damascus Festival Chamber Players, a pan-Arab ensemble dedicated to contemporary music from the Arab world. The Aizuri Quartet are no strangers to Philadelphia audiences. 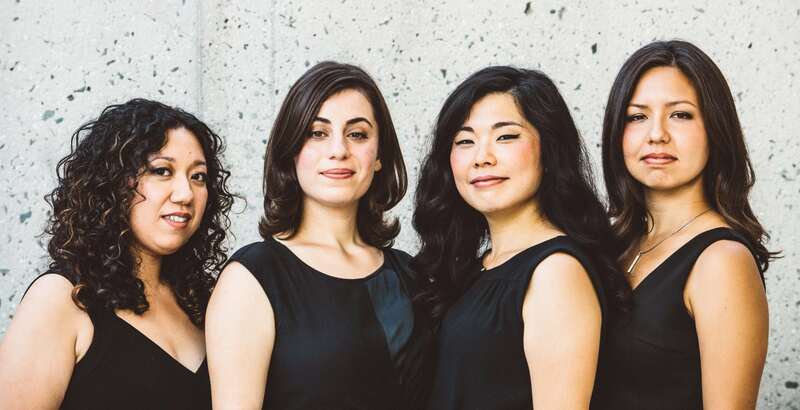 The ensemble was the String Quartet-in-Residence at the Curtis Institute of Music in Philadelphia from 2014-2016, and are currently the 2017-2018 String Quartet-in-Residence at the Metropolitan Museum of Art, presenting five unique programs throughout the season. The Quartet has performed extensively throughout the United States, Japan, Mexico, Chile, Costa Rica, Paris, Dresden, Bremen, Salzburg and Abu Dhabi, and has commissioned and premiered new work from a variety of composers. Tickets to the May 31 concert are currently on sale; general admission is $30, with student tickets at $20. For more information, visit liveconnections.org/azmeh. Celebrating its 10th Anniversary, LiveConnections inspires learning and builds community through collaborative music-making. In 2008, a team of artists, educators and entrepreneurs founded LiveConnections to address declining music education in Philly schools and tap into the people-connecting power of music. Bridge Sessions, our signature interactive educational programs, blend live performances with hands-on activities, introducing public school students and people with disabilities to diverse musical cultures. Our in-school and after-school residencies provide students with sustained, in-depth music-making experiences. In addition, our critically acclaimed LiveConnections Presents concert series features collaborative concerts that cross musical boundaries. We are a nonprofit organization in residence at World Cafe Live. For more information, visit liveconnections.org.